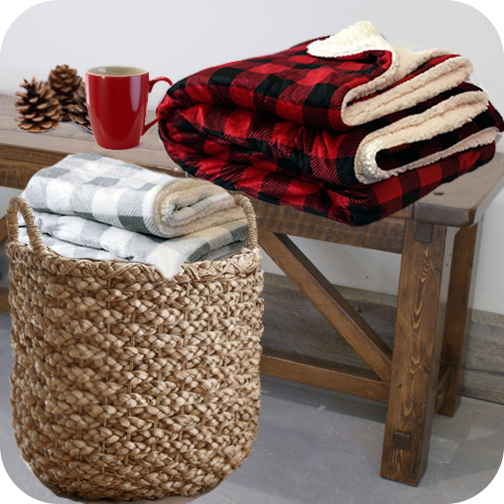 Today's hot trend is Buffalo Plaid, and these Sherpa Blankets are perfect for that theme! TMade of luxurious faux micro mink on one side and a cozy faux lambswool Sherpa on the other. 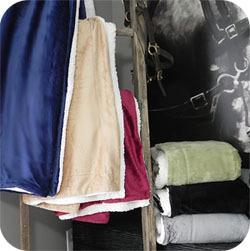 Blanket is 100% polyester and comes in several colors. The BEST PART? A CONCEALED ZIPPER in the seam designed for better embroidery appearance. 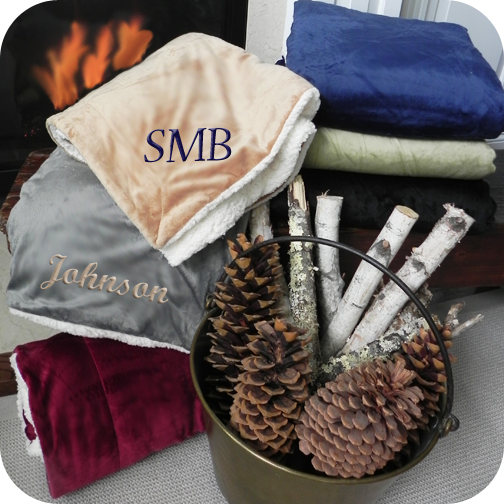 Each blanket has a hidden 15" zipper to make it easy to open and embroider. 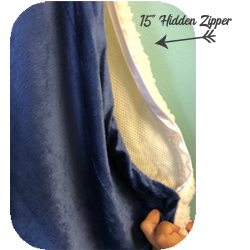 No more stitching through the layers and no more "back of the embroidery" showing! Comes packaged in a vinyl bag with rope handle.